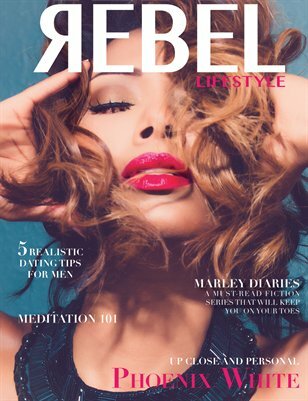 Here at Rebel Lifestyle Magazine we believe that true rebels are not simply individuals who go against society rules or norms merely hoping to be different. However, we believe that rebels are leaders, trendsetters, and strategist. Individuals who habitually challenge society and show courage in the face of opposition. They beat the odds, reject the status quo, and make their values known; demanding respect. When they speak up people listen; giving others both power and voice. In this season's issue, and those to come, you will see all of those attributes displayed. We feel so privileged to have had the opportunity to work with such an amazing team through this journey, and we hope that you all enjoy this season's issue and much as we enjoyed creating it. Please visit our website www.rebellifestylemagazine.com and follow us on social media.